A trip to Tehran is impossible to imagine without visiting the oldest historical monument of the city, breathtaking and glorious Golestan Palace. You can’t even describe the palace as a museum – it is a striking evidence of the great dynasty majesty. 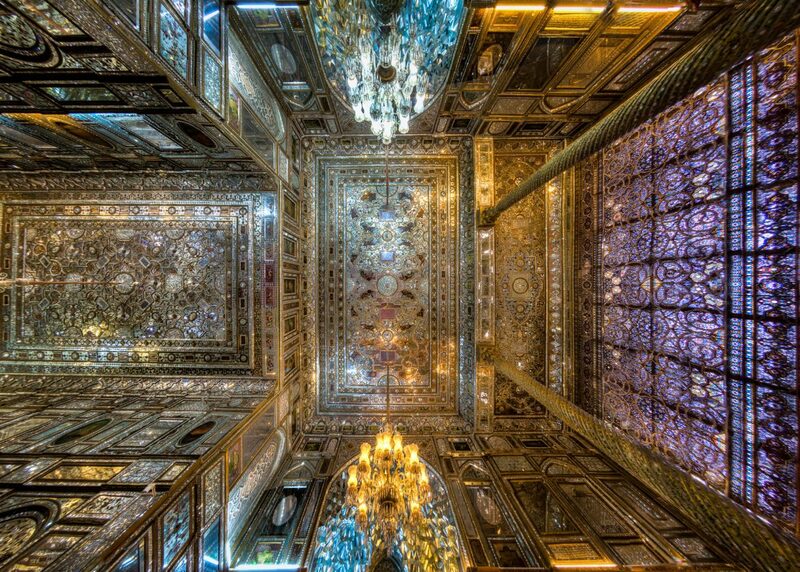 Golestan Palace was nominated for and then granted the title of UNESCO World Heritage site in 2013. 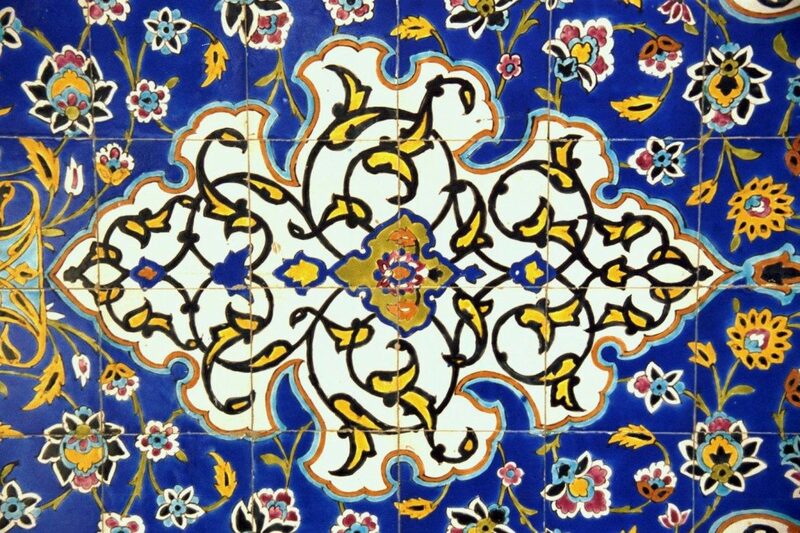 The story of Golestan Palace starts with the construction of Tehran Arg in the 16th century during Safavid Era. Thatched mud walls of this citadel were embracing several royal buildings, and Golestan Palace was one of them. The Arg stood through Safavid and Zand dynasties until 1794. Then the first Shah of Qajar Dynasty, Mohammad Khan, chose Tehran as a capital of Persian Empire. 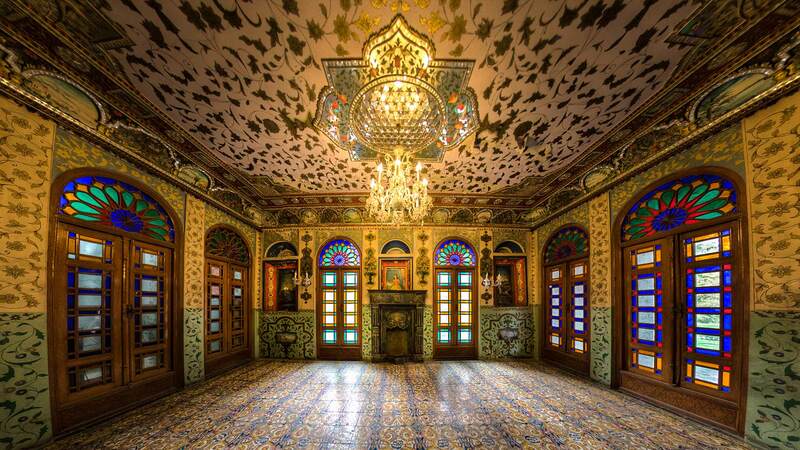 Golestan Palace became the official residency of the Shah, who rebuilt it and supplemented with new buildings. During the Pahlavi era, Golestan Palace acted as a place for official events and receptions. Reza Shah, who strongly believed in Iran modernization and growth, destroyed some of its buildings in between 1925 and 1945. 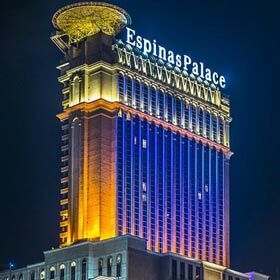 The old looking palace did not match the new appearance of the developing city. However, nowadays we are lucky to witness the remained construction, consisting of 17 buildings, museums, and halls. 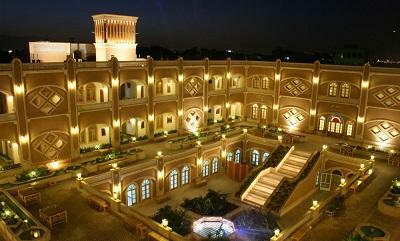 The palace covers an area of 53000 m2 and displays different periods of the history of Iran. 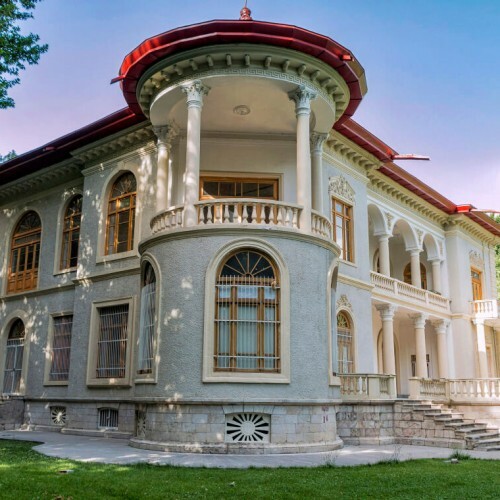 Even though the major part of the palace belongs to Qajar era, every single corner of the complex looks unique and has its own history to tell. Marble Throne, Brilliant Hall, Ivory Hall, Mirror Hall, Diamond Hall are some of the main points of the palace. While your look is moving from dazzling mirror mosaics to painted domes, you will not notice how time passes. 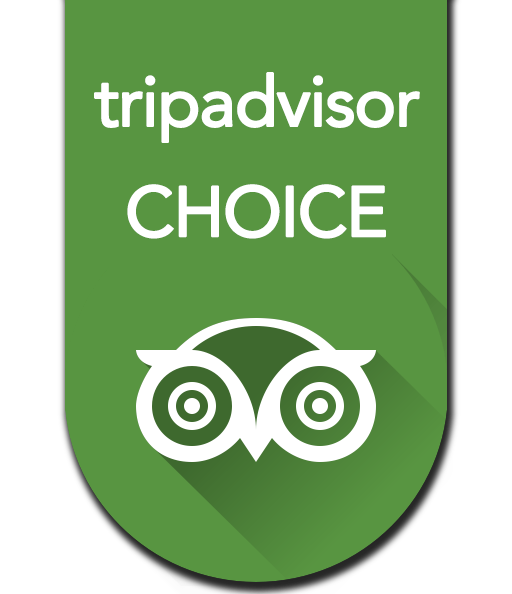 That’s why we recommend to come here right after breakfast and start your day with an unforgettable experience. 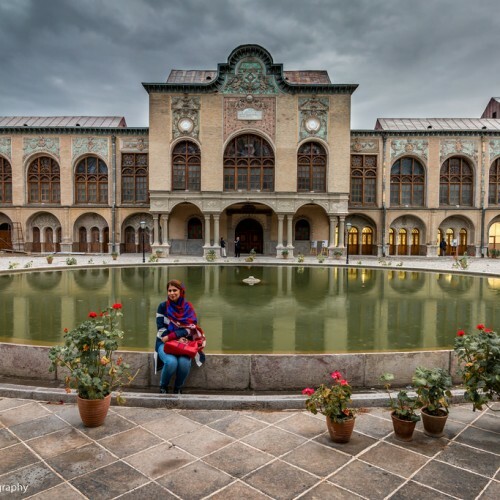 Except for interior of Golestan Palace, you can also find interest in Museum of Gifts with some rare artifacts, an exhibition of European paintings in the Pond House and Iranian paintings in the Picture House, and photography archive showing the first experience of using photo cameras inside the walls of Golestan Palace. 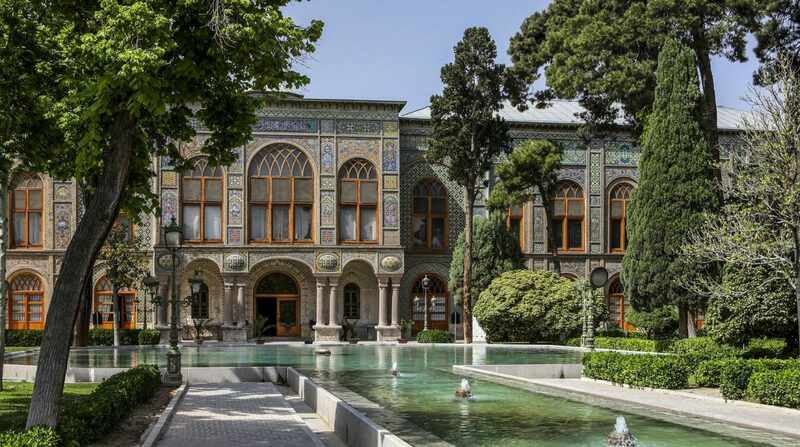 Golestan Palace is located in the old center of Tehran, within walking distance from Panzdah-e Khordad metro station. 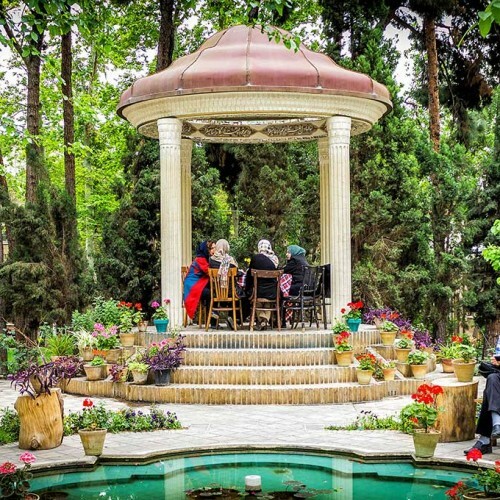 There are numerous popular tourist sites located around the palace – Grand Bazaar, National Museum of Iran, Negarestan Garden, Masoudieh Palace, National Jewelry Museum etc. 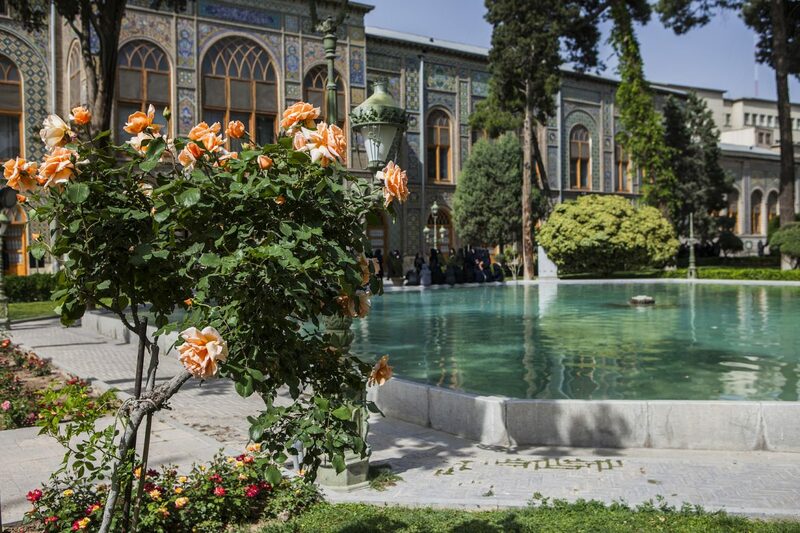 Therefore, it will be easy to include Golestan Palace to your daily Tehran tour. 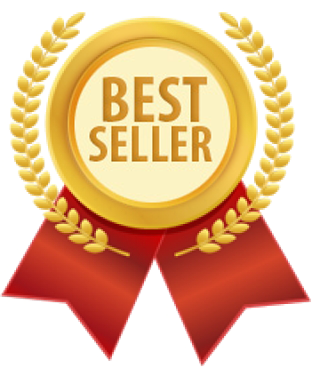 Although we believe it should be the first sightseeing to consider while visiting Tehran. Due to its central location Golestan Palace has many hotels around it. 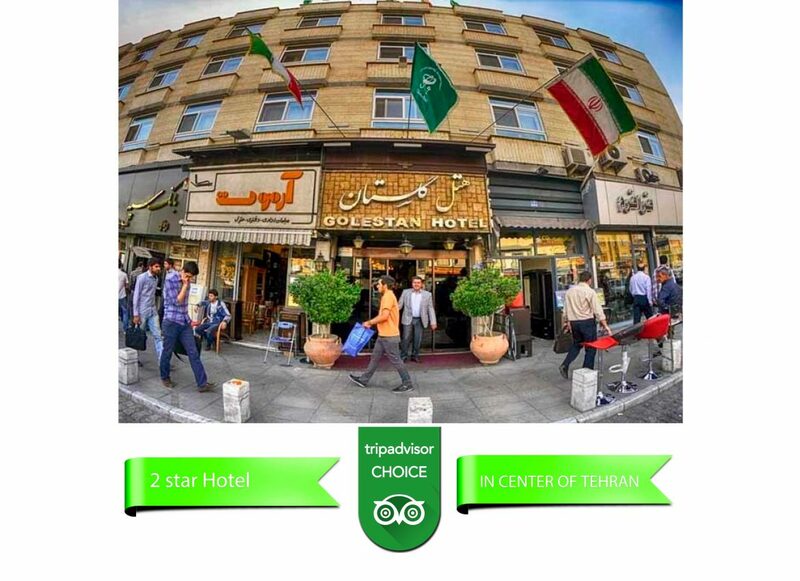 If you are planning a budget trip, try out 1-star Mehr Hotel, Tehran Arian Hostel or Samen Hotel both are located within walking distance. 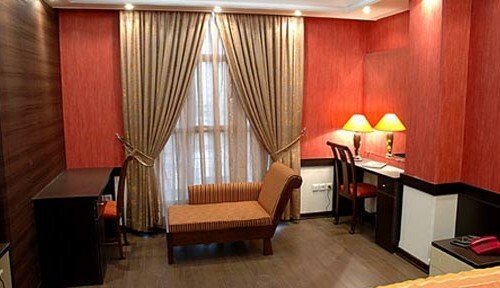 You can find cozy rooms in 2-star Shahryar Hotel, Markazi Iran Hotel or Golestan Hotel. 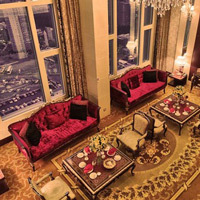 For more luxury stay check out Ferdowsi Grand Hotel. After visiting Golestan Palace the best option for lunch is to take a walk to Grand Bazaar – the best place to experience the authentic atmosphere and of course, to try traditional food. 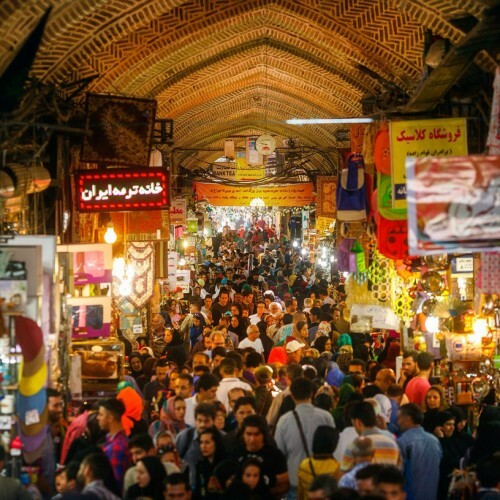 For example, Sharaf El Islam is one of the oldest restaurants of the bazaar, which serves Iranian kebab with rice. You can also try legendary Malek Cafe at Kooshk e Mesri street, or find lots of cozy and modern coffee places, like Rush Cafe. 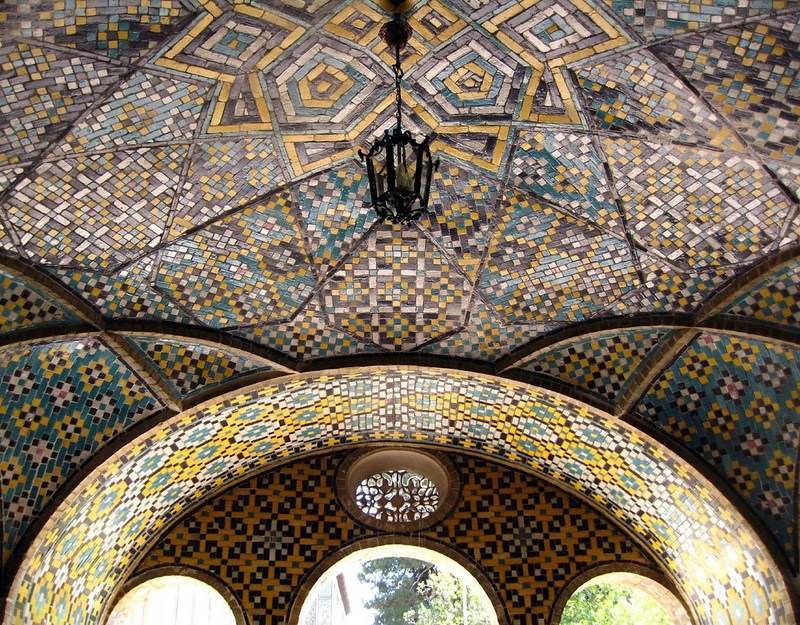 To plan your visit to Golestan Palace, keep in mind its working hours. The palace is opened for visitors every day, from 9:00 till 17:30 (tickets till 16:30) in summer and from 9:00 till 16:30 (tickets till 15:30) in winter. The buildings of the palace are surrounded by beautiful garden, decorated with fountains, ponds and all kinds of flowers and trees, so even when the palace is explored, there are still pleasant sites awaiting for guests to rest in a cool shadow. Take your time, walk around and take pictures against the famous multi-colored walls – those are the memories you will keep through your life. The closest metro station is Panzdah-e Khordad of the red line. 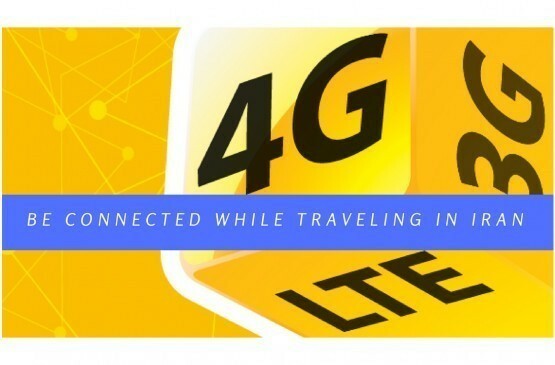 The walk from the metro to Golestan Palace will take a couple of minutes. 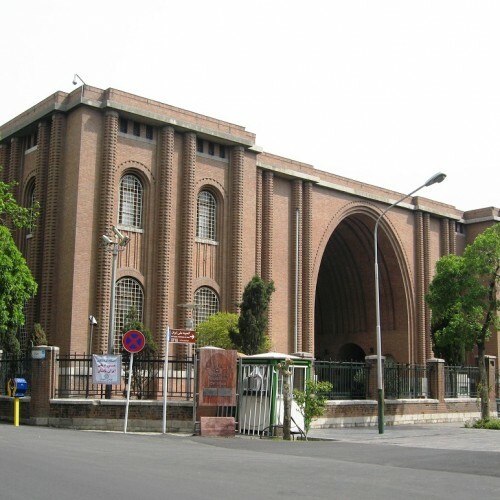 Qurkhane Bus Terminal is located in 10 minutes walk from Golestan Palace. Buses from different parts of the city arrive to this station. 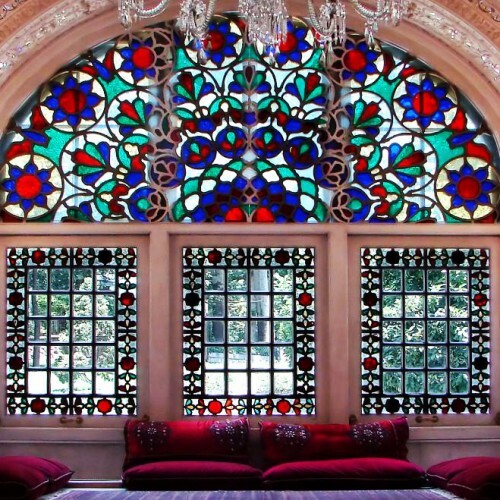 Golestan Palace is close to Grand Bazaar, City Park, National Museum and other attractions. If you are visiting one of them you can take a pleasant walk to the palace.